Slipknot Guitarist Stabbed by His Brother – But will he ‘press charges’ and what does this mean? 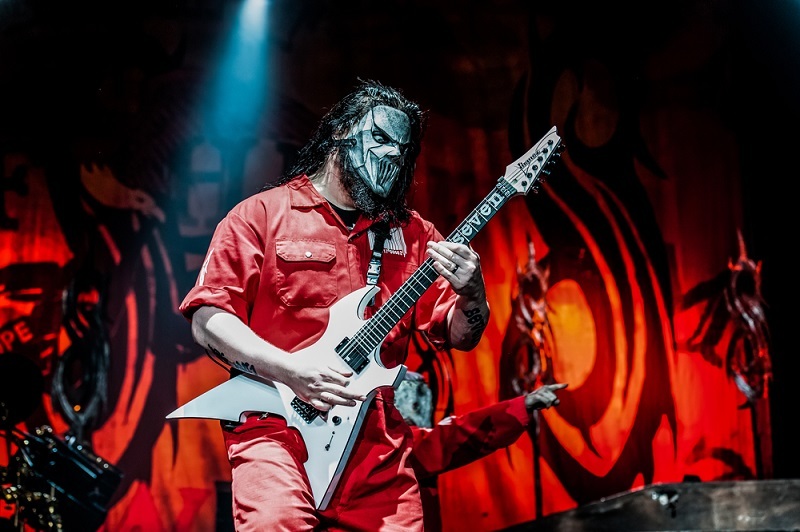 Lead guitarist of Slipknot, Mick Thomson has been stabbed in the head by his brother during a drunken fight in their home city of Des Moines in the US state of Iowa. Police were called to the brother's home after reports of fighting from neighbours. When police arrived they found Thomson with a stab injury to the back of his head. Both brothers Mick and Andrew were admitted to separate hospitals – neither have any life threatening injuries an have both now been released, and police are investigating the case. The interesting facet of this case for us at Unlock the Law is the notion of 'pressing charges'. Surely you wouldn't press charges against your brother and have him sent to jail? But is that your choice? Should that be your choice? Today we look at the concept of pressing charges in Scotland, the rest of the UK and in the United States. What does it mean to 'press charges'? The concept of pressing charges is familiar to many only through films or television shows, however the reality of pressing charges is quite different from how it is portrayed. Much of what we see on television would lead us to believe that when an assault occurs against a victim, it is up to the victim to decide whether they want the case to go further and for the culprit to be prosecuted. This is not quite the case. A law enforcement officer ask the victim whether they want to press charges, what they are asking is whether they would like to provide evidence against the person by contributing to a police report after the person is arrested. This means that victims do have the power to report and provide details of crimes to the police and prosecutors but they do not make the decision whether the suspect is prosecuted for their alleged crimes. This is at the discretion of the prosecutor who may choose to pursue the case or discard it. This is true of all of the aforementioned jurisdictions: Scotland; England and Wales and even in the US where the concept is most commonly misconstrued. The difficulty comes in cases where there are no other witnesses to the crime apart from the victim and very little or nothing by way of evidence. In these circumstances, the decision as to whether or not to press charges is crucial as it will greatly affect the ability of the prosecutor to bring an effective case. This is particularly relevant in domestic abuse cases where the burden of evidence falls on the victim. What happens if I don't press charges? Where a victim chooses not to press charges, they may weaken the prosecutor's case but this does not necessarily mean there will not be enough evidence to secure a conviction. A police report of the incident will outline the facts presented to the police such as the dates, time, location, and details of the crime provided by any witnesses. Police reports will be used by prosecutors in deciding whether or not to pursue criminal charges, alongside any other evidence that may affect the likelihood of a conviction. Given that the scene was witnessed by neighbours who called the police, it is possible that there will be a prosecution against Andrew, regardless of whether his brother chooses to press charges or not. For more information on the criminal justice system, or if you have suffered a criminal injury, please read our personal injury guides.